On Saturday I went for a leisurely ride with my mate Phil. It was incredibly cold when I set off at 7.30am but apart from my fingers being frozen my body stayed quite warm due to the showerproof jacket I was wearing. I met Phil at Hastings Pier just after 8.30am and decided it was time to take my jacket off. I was wearing a long sleeve base layer and short sleeve jersey and was warm enough. We set off for Rye via Westfield and Brede. To get to Westfield you have to climb out of Hastings. This warmed us up a bit but as we descended into Westfield the air was ice cold and we were frozen. This repeated itself all day. Warm on the climbs and cold on the descents! When we arrived in Rye we stopped at a cafe and had a coffee. I suggested to change Phil's planned route back to go via Winchelsea Beach and Fairlight so we could climb the dreaded Battery Hill. Phil wasn't too enamoured about this but was persuaded in the end. 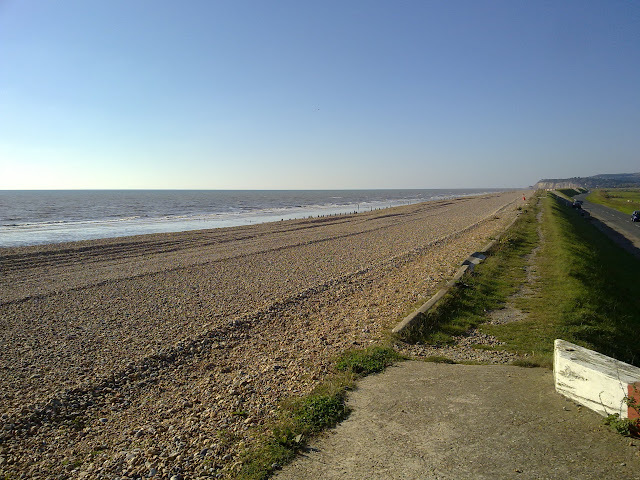 When we got to Winchelsea Beach we rode onto the sea wall and stopped to admire the view. We then set off for Battery Hill. I'd never ridden up Battery Hill before and niether had Phil. We'd both ridden down it at high speed though. How can I explain how tough it was. It was seriously tough. Probably one of the toughest two or three hills I've ever climbed. I was so glad it was a cool day as you'd over heat on a warm one. I made it to the top and Phil arrived a few minutes later. Not the sort of climb you want to do again in a hurry but I'm glad I've done it. 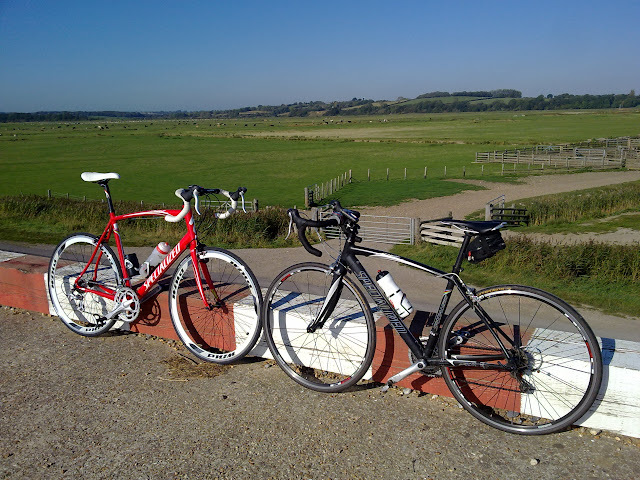 We then rode back and I parted company with Phil at Hastings Pier again and rode the last 14 miles home by myself. 56.48 miles for the #oct100 done. Loving your article but as I read your blog and others I'm left wondering this - what is the main ingredient to you consistently keeping the weight off. What would be your top 10 tips? 3. Cut out obvious rubbish from your diet and only treat yourself once a week. 4. Reduce your portion sizes. You don't have to change what you eat. 5. Don't eat dinner late and don't eat after dinner. 6. Set yourself targets and goals. Small at first. 7. Measure your body once a month and get your body fat measured. 8. Push yourself harder and faster from time to time. 9. Variety is the key to cycling. Find new routes or get out with others. 10. The only thing stopping you is YOU! Thanks mate, that hit the nail on the head. Sometimes I just need reminding of what I already know. Having lost 3-4 stone now 3-4 times I'm frustrated with the constant yo-yoin. Especially when I read the likes of Gaz and your blogs... I'm at the place of wondering what the difference is between you two and I. The truth I don't want to face is discipline I suspect!